Meet Laura, a specialist cancer nurse from Devon who has spent her entire adult life helping sick people to feel better! She is an amazingly selfless lady! Laura has a husband, 2 children and a step son. Laura is also a carer for her elderly mother. Laura now faces her own battle after being diagnosed with stage IV metastatic bowel cancer. Laura has beaten the odds so far with her palliative treatment and has fought a tough battle against this awful disease, now, her treatment options are running out. However, there is a treatment available which may just give her more time, the most precious gift in life! 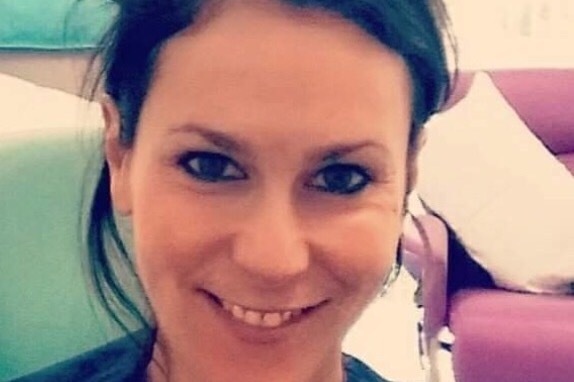 Laura's new treatment is not available on the NHS so we are raising money to fund as many course of treatment as possible to give Laura time with her young family! Please donate whatever you can or hold a fundraising event to help this family keep their mum fighting! Howdy from Team Lanky Yankee! So I've come through my first cycle of Chemotherapy plus Bevacizumab! A lot of you were kindly asking how I've gotten on so I thought a quick update was in order. First all let me say....I Feel Great! The last two weeks since I had treatment has been a bit of a mixed bag.....I liken it to the Great British Weather where even on the sunniest days there is always a chance of Rain! The last two weeks I've experienced the normal chemo side effects....bone crushing exhaustion, nausea and vomitting and bowel upset. I have slept a lot, especially in the first week where the side effects were at there worst. Sleeping not only helps with fatigue but also the nausea. I've had my hospice nurse out to see me and my pain is well controlled thanks to their magic! In the second week after treatment I definitely began to slowly turn the corner....less was the fatigue and nausea and vomitting and greater was my craving for cake! I'm proud to say that because of Easter Chocolate and one very delicious lemon cake (thank you Hils Woollacott !) I've managed to keep my weight stable. By Thursday this week my rounding of that chemo corner became complete and I could be seen dancing around my kitchen while singing in an off tune voice and wiggling my imaginary tail to choruses of "I feel so F-ing fantastic...so F-ing fantastic!" So much so that I literally pranced into my review with my oncologist yesterday saying the above while unbuttoning my jeans and stripping off my top before he had even said hello or asked to examine me! But hey when a girl is feeling good she wants to shout it to the world! Or at least the waiting room of the Seamoor Unit in any case! Once I had calmed myself down enough to go through the review yesterday I was told that my bone marrow was holding strong despite the toxic treatment and that the mass in my abdomen was certainly much harder to find and feel! I was so ecstatic I nearly ran out to get the waiting room to do a Mexican Wave for me! I did manage to corral myself however and took heed of my oncologist who reminded me that it is too early with just one cycle to determine if the addition of Bevacizumab is having any benefit or not. Ok.... reality check! Sure thing Doc. I know you are right but surely my dancing, singing, tail wagging and all around frivolity is the best measure of success?! Well it is in my books anyway! Laura now has enough to get treatment well under way! The great news from Laura's doctors is that as long as the treatment works Laura can stay on it! With bevacizumab this could be weeks, months or Years! We all know which one we are hoping for! So in preparation for our hope that this buys Laura considerable time to conquer her bucket list we are going forward with various fundraising events! We will keep you posted on the details of these! As As Laura always says, "it takes a village" And what a village she has around her!